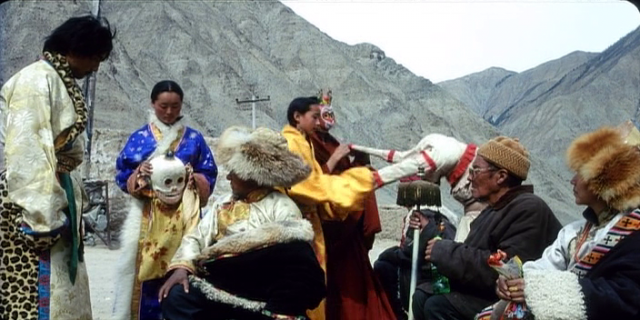 Pema Tseden (The Search, Old Dog) is the first Tibetan graduate of the Beijing Film Academy, and this is his dramatic feature debut. 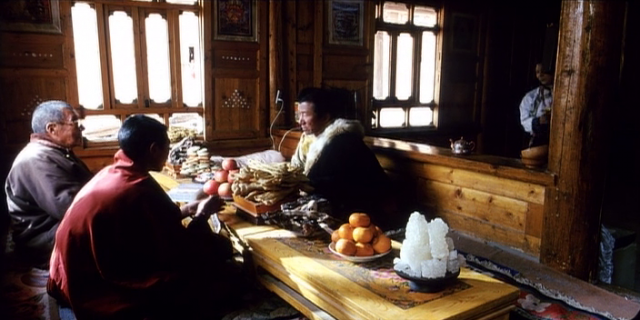 Made on location in a village in the Amdo region, the film follows a young lama assigned for Tibetan New Year to attend to the seven-year-old Living Buddha (tulku) of a mountain monastery. 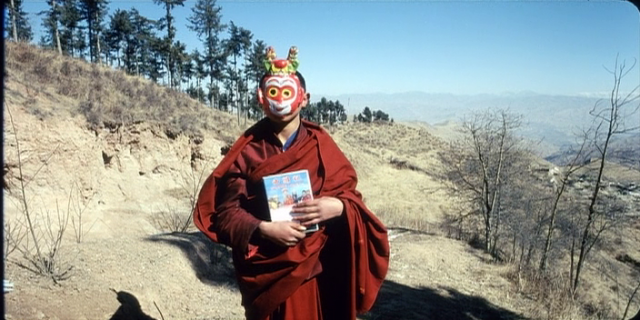 The young lamas try to balance their strict training with explorations of the outside world through the novelty of television, and make some surprising choices. 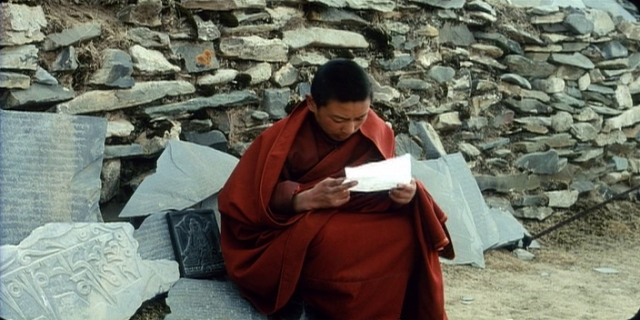 Like all great neo-realist films, The Silent Holy Stones has the immediacy of a documentary, and Tseden delivers a compelling and intimate insider’s view of everyday life in his home town. The place where the story took place is none other than my home village, where the mountains and waters have always haunted my dreams. I long to tell the true stories—in my own way—that have come up in my home village, to disclose the real looks of her, and to reveal the genuine conditions of life of the people there…a reciprocal infiltration between tradition and modernism. 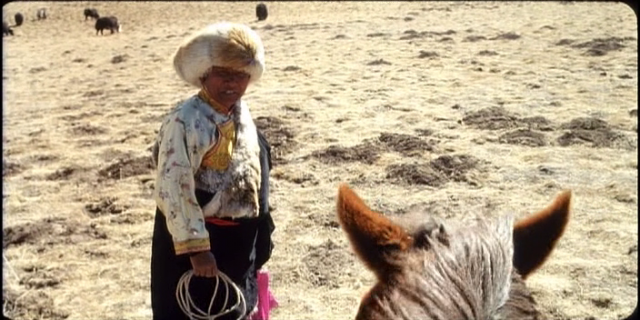 Neophyte director Wanma-caidan [Pema Tseden]’s lightly comedic, Tibetan-language drama The Silent Holy Stones (AKA Lhing Vjags Kyi Ma Ni Rdo Vbum) observes the magnetizing forces of Westernization and consumerism for a ten-year-old Chinese boy. 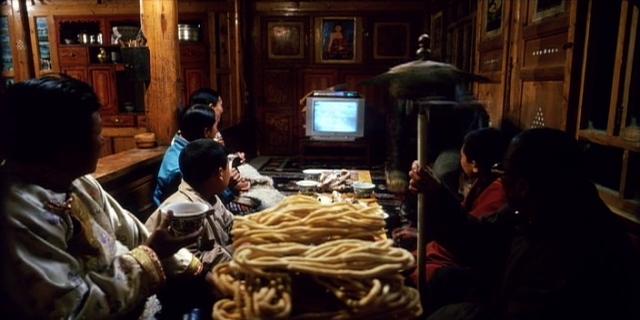 Called by his elders to train as a Buddhist monk, and nicknamed Little Lama, the film’s preteen character (Luosang-danpei) finds himself pulled ever strongly in the direction of mass media – to such a degree that he can never quite focus on his studies. 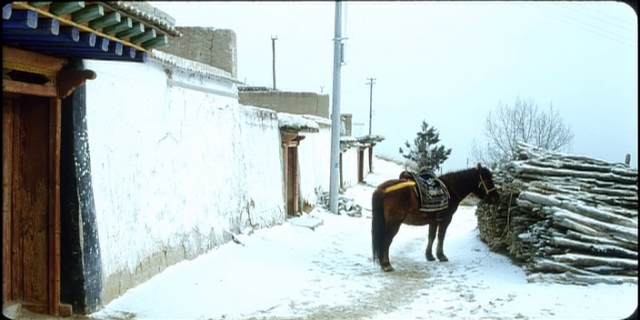 He spends the majority of his life in the isolated Guwa monastery, out of the reach of “modern” ways and influences, but a 48-hour holiday New Year’s trip to see his family (that finds his father carrying him across the icy steppes on horseback) represents the breaking point, and once he arrives, no extensive religious ritualizing and amount pleading from his family can tear him away from the family television and VCR, where he remains hooked to the movie Journey to the West. It soon becomes readily apparent to everyone that the boy isn’t exactly tailor-made to forge a devout path. Wanma-caidan uses this smaller story to comment, more broadly, on the passing of traditional cultural lifestyles and religious practices within China. thank you for sharing such rare Chinese films!